For Saab owners who demand expert, thorough service for their beloved vehicles, Absolute Saab Parts & Service is your local leading authority. As Saab specialists, we provide parts and go the extra mile to seek out hard to find parts so we can repair or rebuild your vintage or late model Saab. Schedule a convenient appointment with our shop or let us come to you to deliver mobile repairs! When your Saab vehicle needs maintenance, repairs or restoration, it’s important to trust a mechanic that has specialized expertise in working with this niche brand. At Absolute Saab Parts & Service, we’ve been dealing exclusive in Saab repair in San Diego County, CA for more than 40 years, making us the leading expert on any model or year brought to us. Whether you need brakes and an oil change or something more substantial, like engine or transmission work, rest assured we have the familiarity and expertise to get the job done right. Because we deal exclusively in Saab vehicles, you’re always going to get an unparalleled level of oversight. 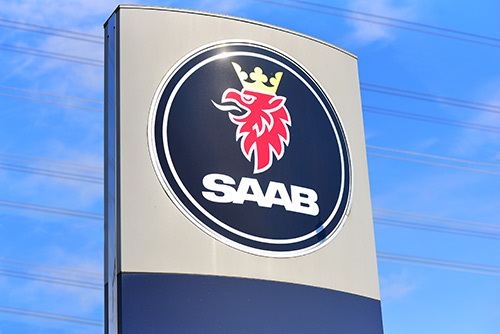 Our dedication to this brand and the quality vehicles that represent it has made us the go-to service provider for Saab owners throughout the region. Our business has been family-owned and –operated since 1977, backed by more than 40 years of experience. Because we specialize only in Saab service and repair, we’re experts in everything from major and minor repairs, to paint and body work, to engine and transmission services! We operate a full-service shop, however we can also come to you to deliver service to your vehicle when it’s not drivable. In most cases (unless it needs to be towed), we pick up and deliver your repaired Saab back to you at no additional cost. We work hard to get to know your vehicle and its unique features, so we can deliver unparalleled service that keeps it running in top condition. To save you money, we innovate! We can adapt parts, configure new solutions and design custom component solutions that keep your cost of ownership low. If your Saab needs maintenance or repairs, make Absolute Saab Parts & Service your destination. Schedule your appointment with us today and give your vehicle the care it deserves. June 1, 2017 Craig M.
"When I was about to move to San Diego 20 years ago, I asked my local Saab mechanic in Essex, MA, if he could ask his suppliers to check arou..."
June 1, 2017 Bob P.
"We have been going to Absolute Saab for 27 years and have always had excellent service and repair. Paul has a large supply of parts and keep..."
June 1, 2017 Tony Q. "Absolute Saab is an experienced, professional and properly run facility, they have many years servicing Saabs to rely on and they did a wond..."
April 1, 2017 Robb W.
"Integrity, high standards, thorough knowledge and expertise"